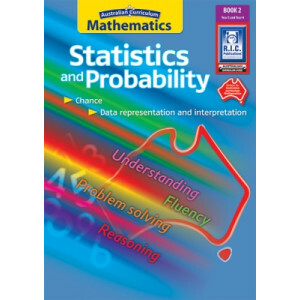 Australian Curriculum Mathematics – Statistics and Probability (Foundation to Year 6) is a series of three teacher resource books, written by Clare Way, that support teaching and learning activities in Australian Curriculum Mathematics. The books focus on the Statistics and Probability content strands of the Australian Curriculum Mathematics. The resource books include theoretical background information, resource sheets, hands-on activities and assessment activities, along with links to other curriculum areas. The two sub-strands are included – Chance and Data representation and interpretation – as well as the content descriptions of each sub-strand and the four proficiency strands. Book 1 is suitable for teaching Foundation, Year 1 and Year 2 students. 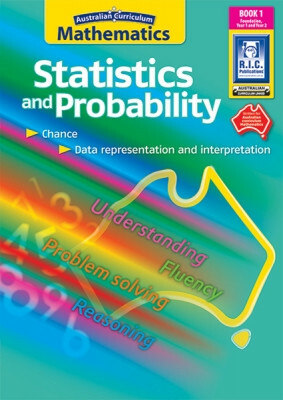 Australian Curriculum Mathematics: Statistics and Probability (Foundation to Year 6) is a series of three teacher resource books, written by Clare Way, that support teaching and learning activities in Australian Curriculum Mathematics. 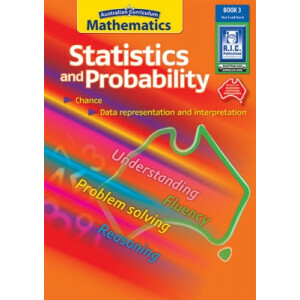 The books focus on the Statistics and Probability content strands of the Australian Curriculum Mathematics. The resource books include theoretical background information, resource sheets, hands-on activities and assessment activities, along with links to other curriculum areas. The two sub-strands are included - Chance and Data representation and interpretation - as well as the content descriptions of each sub-strand and the four proficiency strands.